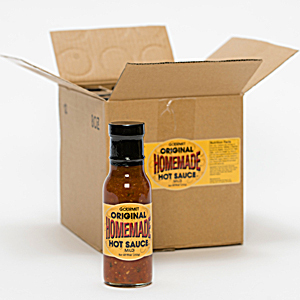 We currently offer two types of hot sauces. One is a mild hot sauce which is great for adding flavor to most any type of food and beverages and the other is our "hot" hot sauce which also has the same flavor as our mild but brings with it heat and a kick. 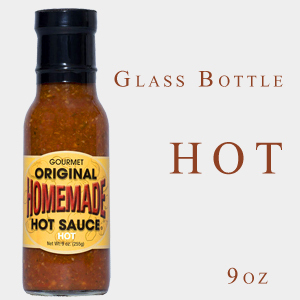 Both hot sauces are great for a variety of foods and will enhance most food groups. Currently we offer two sizes. 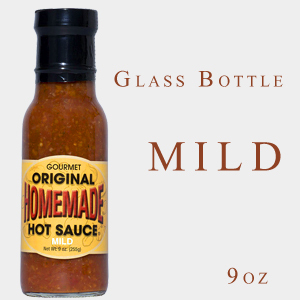 Our glass bottles are 9 oz. 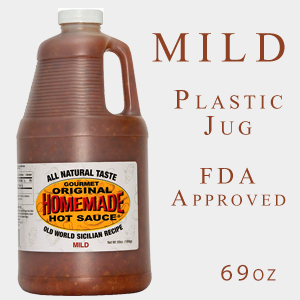 You can get either the mild or hot in this size. This size is great for family use or restaurant table ware. We also offer a 69 oz. FDA approved plastic jug for restaurants, chefs, large outings or those who really enjoy hot sauce.